People with disabilities have a lot of trouble communicating. I turned my passion of photography into communication. When I walk through the city or through a field, I see art! I see lines and patterns and life! A life to be shared! 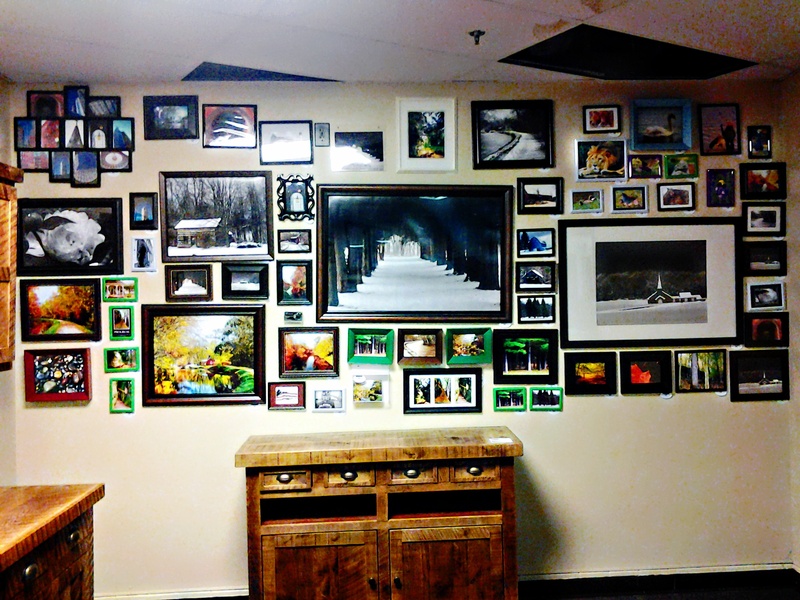 I was given the opportunity to take my photos and put them in Tuttle Crossing Mall in Columbus, Ohio. I am so excited to have 60 of my prints hanging in the store, Simply Vague, right next to the food court. See, we can do it! We can share what we think, feel, see. Allow us to express in creative ways where words are few and you will see our passions turn to successes. https://www.etsy.com/shop/annkagarise, to see my online gallery. 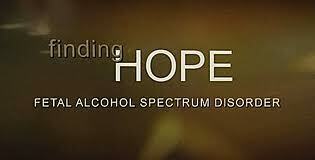 The F in FASD is for Finding Hope. I know that some look at people with FASD and they are afraid. They don’t see the hope that we feel. They don’t sense the dreams that we still have. They don’t understand our will. We are Fighters! The F is for Fight! We fight this battle from the moment of the first drink in the womb until our last breath. Every second of every day is spent fighting to the next moment. Every moment is a struggle to understand, comprehend, process, and act. The process of a thought going into the brain and turning into an action or an understanding with someone with FASD is not only draining, sometimes it’s impossible. But do we see impossible? NO! We see the possible.I just found 100 ways it does not work, but I will find the way that does! I am not able to tell you what I’m thinking, but I will find a way.I don’t understand all your words, but I will do my best to do what you ask. I am not able to move in the direction you want me too, but I will move. My brain skips. It short circuits. It misses. It does not connect.I may not know how to please you, but I’m trying! The more I try to understand and do, sometimes, the more confused I get. The more I try to please you, the more I mess up.One thing I know…we will dig in our heals and give it our all. We will fight this fight!We will make it! In our way, in our time. We might be slower, but we will get there. We will get there.Fight. Believe. Hope. Who decided the world should go so fast?Who decided we needed to keep the pace of the fastest one in the room? Standing in a room with five other people talking. They were going so fast I didnt understand one word. I want to go the pace of the room. I’m working so hard to stay afloat. I’m doing all I can to keep swimming. it’s not that I have to do that. I want to do that! I’m proud to say that I am probably one of the hardest workers you will ever meet. I never allow my disabilities to define me. I work harder than anyone to keep the pace that others can keep. I don’t always understand, but I keep going anyway. My skin is screaming at me. My brain stopped understanding the world around me because it just can’t keep up. This is not a complaint. this is something with a little brain rest, will be fixed. the only thing I am sad about is that I want to be able to do what the fastest in the room can do. I don’t want to hear the words from my daughter again, “That’s why I don’t push too much on you, mom. I know it is too hard for you.” Ouch! I know she means well. But I want to be the mom that can do it all. Keeping up with neurotypical mom’s and Im struggling to do the basic’s in life…AND I try to hide that I am not able to do what they do…lol…and I think I do a fantastic job hiding it…I must say!! Watching the world whizz by!!! It’s going so fast lately I can’t even stop to smell the roses, if I wanted to. I’m not a complainer. I will get up when I have been knocked down a thousand times. I will never get up. This world that we live in is fast. I’m trying so very, very hard to hear you, see you, understand you. Sometimes, I am still trying to process a sentence a minute after it’s said and you’ve already gone on to the fifth or sixth sentence and I’m still back on,…huh? Don’t walk away. Don’t give up. Don’t quit on me. I won’t quit on me. Have you ever walked with someone who is elderly or is has a slower gait? I guess you could make your elderly mother go your pace. Picture my brain with a cane. And you are going the pace of a healthy 20-year-old. Are you going to wait? or are you going to make me go your pace. If you keep going your pace. I might never catch up. In fact, you will leave me left in the dust…confused. If you go your pace with me, I can and will move forward.